Browse our Bed Bug Pest Info Page for Informative Bed Bug Information. At Dependable Exterminating, We Have The Know How To Get Rid Of Bedbugs. Let us be your BedBug Control Exterminator that you can rely on. 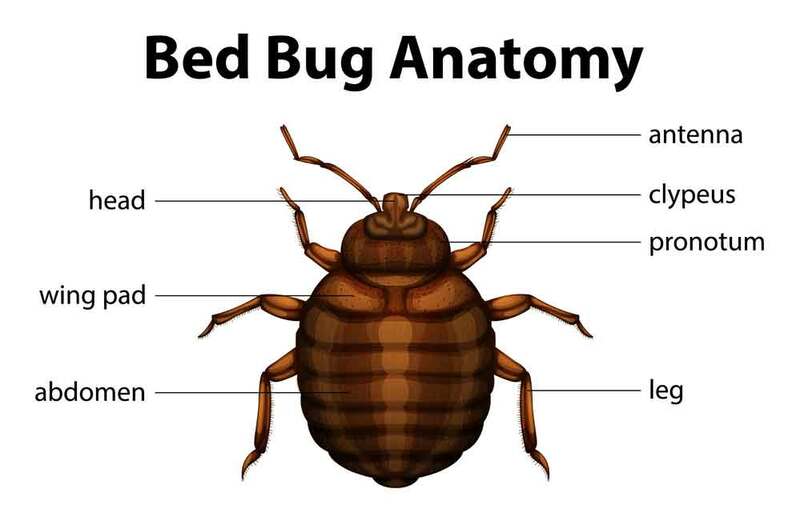 We also provide the latest BedBug information to keep you updated, Give Us A Call Today 1-844-305-8999. Sometimes referred to as "red coats," "chinches," or "mahogany flats”, bed bugs, Cimex lectularius Linnaeus, are blood feeding parasites of humans, chickens, bats and occasionally domesticated animals. Bedbugs specifically regarding bedbug bites are suspected carriers of leprosy, oriental sore, Q-fever, and brucellosis but have never been implicated in the spread of disease to humans. After the development and use of modern insecticides, such as DDT, bed bug infestations had virtually disappeared. However, since 1995, pest management professionals have noticed an increase in bed bug related complaints and bed bug infestations. Dependable Exterminating is your Manhattan bedbug control expert, we have the know how to get rid of Bed Bugs. Our professional BedBug Exterminator offers bedbug control, bed bug information and bed bug prevention throughout Manhattan including the Financial District of New York City, the Lower East Side, Little Italy, China Town, East Village, Greenwich Village, Chelsea, Times Square, the Upper East Side of NYC, the Upper West Side of NYC, Bronx NY, Brooklyn NY, Queens NY, Manhattan NY, Westchester County NY, Rockland County NY, Orange County NY and more. Human dwellings, bird nests, and bat caves make the most suitable habitats for bed bugs since they offer warmth, areas to hide, and most importantly hosts on which to feed. Bedbugs are not evenly distributed throughout the environment but are instead concentrated in harborages. Within human dwellings, harborages include cracks and crevices in walls, furniture, behind wallpaper and wood paneling, or under carpeting. Bedbugs are usually only active during night but will feed during the day when hungry. 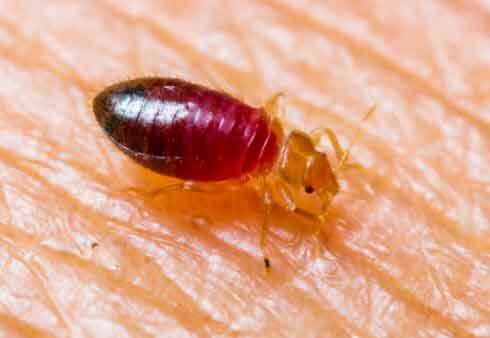 Bed bugs can be transported on clothing, in traveler's luggage, or in bedding and furniture but lack appendages to enable them to cling to hair, fur, or feathers, so are rarely found on hosts. Our Professional Bedbug Exterminator will identify bedbug hiding places. We are number one in Bedbug control and always have the latest Bed Bug Information. 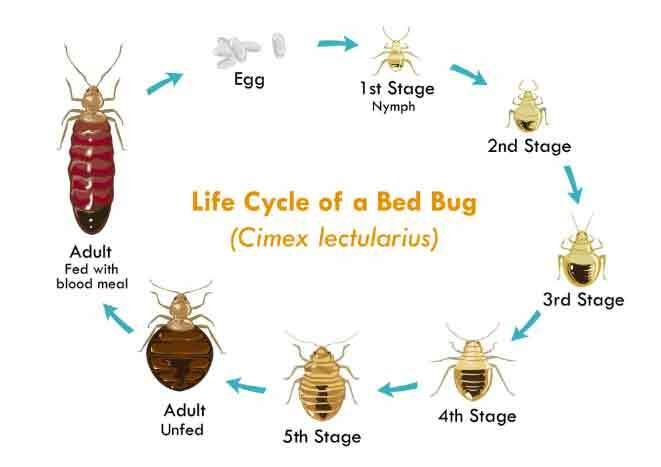 The two bed bugs most important to man are the common bed bug, Cimex lectularius, and the tropical bed bug, Cimex hemipterus. These two species of bed bugs can easily be distinguished by looking at the prothorax, the first segment of the thorax. The prothorax of the common bed bug is more expanded laterally and the extreme margins are more flattened than that of the tropical bed bug. Because of their confined living spaces, copulation among male and female bed bugs is difficult. The female possesses a secondary copulatory aperture, Ribaga's organ or paragenital sinus, on the fourth abdominal sternum where spermatozoa from the male are injected. The spermatozoa then migrate to the ovaries by passing through the haemocoel, or body cavity. The female bed bug lays approximately 200 eggs during her life span at a rate of one to 12 eggs per day. The eggs are laid on rough surfaces and coated with a transparent cement to adhere them to the substrate. Within six to 17 days bed bug nymphs, almost devoid of color, emerge from the eggs. After five molts, which takes approximately ten weeks, the nymphs reach maturity. If you see a Bed Bug Infestation and need Bedbug control contact our Bedbug Exterminator at 1-844-305-8999. Learn about Bed Bug detection and how Bed Bugs can travel on luggage an enter your home, and must-see bed bug information about treatment methods, bites, and what Bed Bugs look like. Bed bugs are most active at night; they are extremely shy and wary, so their infestations are not easily located. However, when bed bugs are numerous, a foul odor from oily secretions can easily be detected. Other recognizable signs of a bed bug infestation include excrement left around points of entry and exit to their hiding places and reddish-brown spots on mattresses and furniture. Good sanitation and having a qualified bedbug exterminator are the first step to controlling the spread of bed bugs. However, upscale hotels and private homes have also noted bed bug infestations, suggesting that good sanitation is not enough to stop a bed bug infestation. When faced with a bed bug infestation, contact Dependable Exterminating Pest Control, we are your bed bug exterminator serving Manhattan. We have the best bed bug control professionals in the industry. We cover NYC, Westchester and Rockland County. If bed bugs are in bedding material or mattresses, control should focus on mechanical methods of control, such as vacuuming, caulking and removing or sealing loose wallpaper, to minimize the use of pesticides. The effectiveness of using steam cleaners or hot water to clean mattresses is questionable. Heat is readily absorbed by the mattress and does no harm to the bed bug in fact the moisture may produce favorable conditions for house dust mites. Pillows should be removed and dry-cleaned or replaced. For severe infestations, however, pesticides may be used. Care should be taken not to soak mattresses and upholstery with pesticides. Allow bedding and furniture to dry thoroughly before using. Due to the difficulty in controlling bed bugs, the use of a professional pest control company is recommended. Dependable Exterminating offers bedbug control in Manhattan throughout the Upper West Side, the Upper East Side, Times Square, Chelsea, Greenwich Village, East Village, Little Italy, China Town, Lower East Side, the Financial District and more. Call A Dependable Bed Bug Exterminator to eliminate Bed Bugs.